The easiest chocolate is one part cocoa to one part coconut oil, but it can be taken further. If you are looking for a more solid and moldable chocolate then this recipe should fill your mouthly desires. I would tell you about all the benefits of the raw goddess but I’m a bit queezy feeling today and I’m sure you can Google. For me it’s just because it tastes like goddesses having a mating party on my tongue. There is this method called tempering where you bring the chocolate to 150 degrees and it will stay more solid at room temperature, but this step is not necessary when it comes to taste. 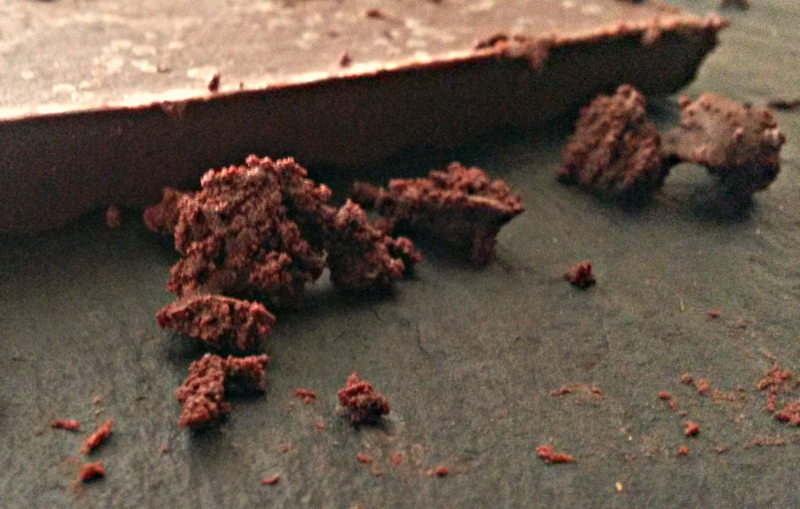 I have not personally tried tempering the chocolate due to having no reason to. At some point I’m sure I can bring it up to a little higher heat though and will report back. Take a double broiler, or a saucepan with water in it and a bowl on top, (you do not want the water to touch the bowl, even at a simmer as it will burn the chocolate). Bring the water to a simmer (do not let it boil) and let the cocoa paste melt. This can take about ten minutes so constantly watch and stir. Youtube and Instagram are acceptable distractions. Once the paste has melted stir in the sweetener and salt. Let the cocoa rest for about five minutes/until you can touch it without pain. Use your hands and mix the cocoa powder and coconut oil into the paste. Pour into silicone mold of some sort (I used a loaf pan). 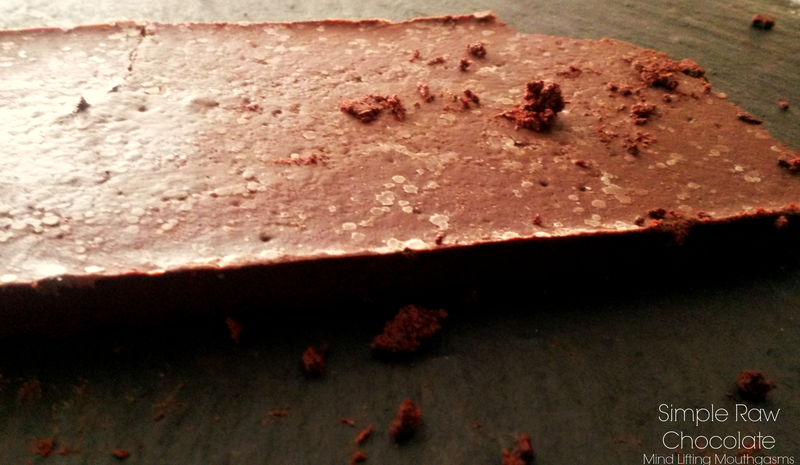 Either let the chocolate become solid in the fridge or let it sit out at room temperature until it becomes solid.